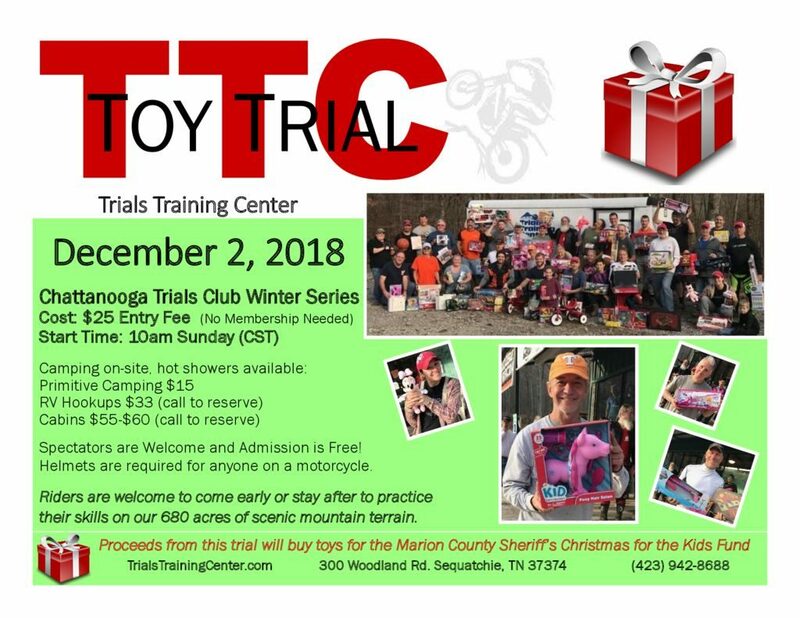 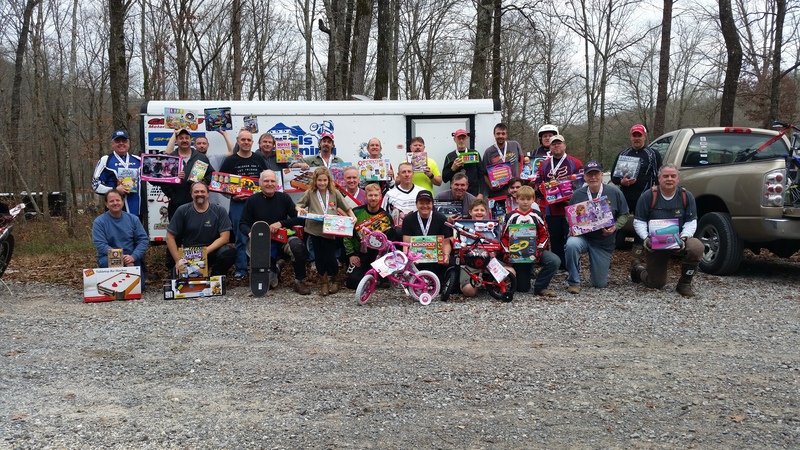 Again this year, the TTC is teaming up with the Chattanooga Trials Club to host the Toy Trial here at TTC on Sunday, Dec. 3. 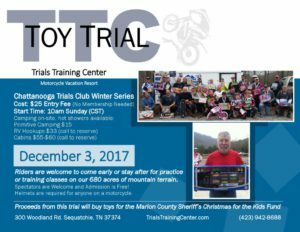 Proceeds from this trial will buy toys for the Marion County Sheriff’s Christmas for the Kids Fund. 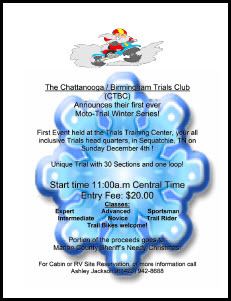 See this flyer (PDF) for details on the events in January and February (Rounds 2 & 3) in the 2011-12 Chattanooga-Birmingham Trials Club Winter Mototrial Series. 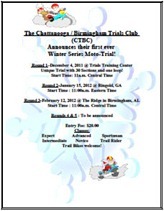 Details on Rounds 4 & 5 have not yet been announced.